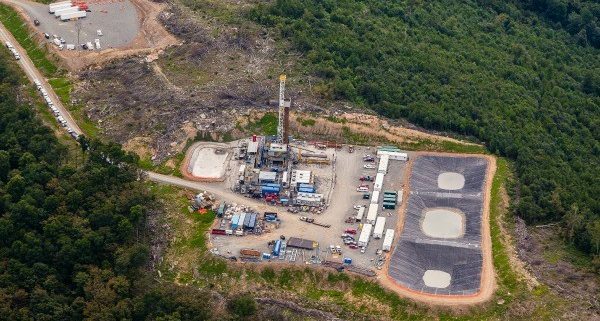 The natural gas boom has created a lot of uncertainty in communities impacted by hydraulic fracturing and natural gas pipelines. There are so many questions about the impacts on drinking water supplies and the overall health of our rivers and streams. WV Rivers created the Citizens’ Guide to Fracking Permits in West Virginia to help everyone navigate the complexities of this process. We’re also working with watershed organizations and community groups to facilitate public meetings where people express their concerns. 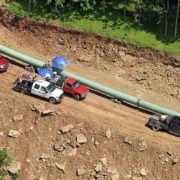 The technical work surrounding pipelines is expensive, requiring hours of analysis, preparing public comments to regulatory agencies, and helping to organize and support people who want to be heard. 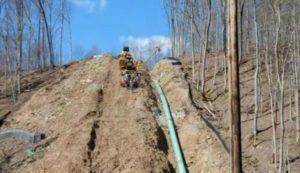 The WV/VA Pipeline Visual Assessment Program was developed by Trout Unlimited and West Virginia Rivers Coalition to support and train volunteer citizen observers to identify, document and report pollution incidents associated with large-scale pipeline development. 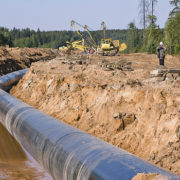 Through a free video training, volunteers will learn about erosion control best management practices used in pipeline development, specific examples of pollution to look for, and how to best document those problems. Learn more and sign-up here. 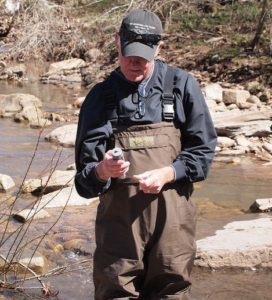 Through a partnership with Trout Unlimited, we’re training volunteers from across the state to monitor the water quality of streams that have the potential to experience impacts from shale gas development. Volunteers in WV/VA Water Quality Monitoring Program attend a day-long training where they learn how to collect water quality samples and measure physical and chemical metrics like pH and conductivity. Learn more about the WV/VA Water Quality Monitoring Program here. 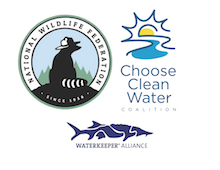 Can West Virginia's Waterbodies Handle Over 3,100 Impacts by Natural Gas Pipelines? https://wvrivers.org/wp-content/uploads/2017/09/19153010824_37a5485435_z-e1506000739592.jpg 165 300 Kathleen Tyner https://wvrivers.org/wp-content/uploads/2017/02/logo-1.png Kathleen Tyner2017-09-21 09:43:102017-09-21 09:45:19Can West Virginia's Waterbodies Handle Over 3,100 Impacts by Natural Gas Pipelines?